Several news websites such as USAToday and Snopes confirmed that some hair bands manufactured in southern China were found to have been made from recycled condoms. While Snopes states that some of the hair bands were created using low quality or factory rejected condoms, the site also indicates, "it is not clear that, as claimed, some or all of the hair ties' hidden surprises were condoms that had reached their original intended market and been used before being recycled. If the latter case were true, they could serve to spread sexually-transmittable diseases because they might still harbor certain bacteria and viruses." Wow! 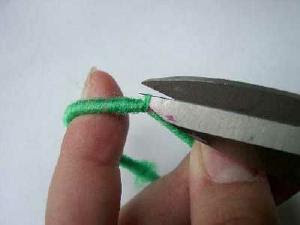 This is part of the reason why I'm avoiding "MADE IN CHINA" products. Be it made of low quality or factory rejected, it is still a condom!!! If it's not good enough for stocking shelves, it is not good enough for my hair! And plus, why would you wanna wear a condom on your hair? to be cute? Yuck! CLICK HERE, HERE, and HERE for other reasons to avoid MADE IN CHINA products! and those viet dolls, I actually got 2 for my bday from ms.diana from her trip to Vietnam, and the other two my mom's friend got for me from Vietnam. But I did see them on ebay too!!! aaa! the part where i read where it said it can transmit diseases, totally freaked me out. for some reason that didnt' cross my mind. at first all i thought was ew, ive got condoms, used or new, in my hair, and i didnt' stop to think of the diseases involved!! its a convenience. in case you get caught up in the moment, and need some protection, bam! just take down ur pony tail and unwrap it. duh! LOL! JK hehehehe! my classmates told me this before..and it makes me feel so...so... yuuuucckkkkkk..
Hahah yuup, isn't that gross?!! omg... OMFG! that is seriously gross. thanks for the heads up. omg why doesnt surprise that its made from China!! what an unpleasant surprise!! When I first started using it I thought it was awesome as hell! Either I'm use to it now or I just don't notice a difference because it already improved my eye area. I don't have wrinkles or anything, so this is used for preventative measures. It's very moisturizing and has definitely helped me a bit with dark circles and puffiness. No eye cream gets rid of that completely. Try getting a sample to try! That's both crazy and gross! Ack!! Condoms in a girl's hair! OMG. I heard the news while back on local news but can't figure the real hair products and condoms inside. This is so gross, next time I'll double check before purchase! LOL. Thanks for sharing. This is soo gross!! Almost all viruses that are responsible for sexually transmitted diseases will die immediately outside of their hosts. They are highly temperature sensitive. This is why it's very unlikely that women will get sexual diseases from sitting directly on uncovered public toilet seats. 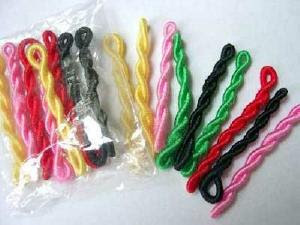 Condom hairbands, Nasty! Sexually transmitted disease from them, extremely unlike. OMG thats gross!! THanks for sharing this!! I will avoid and be cautious about buying hair ties now! Yuupppp, we have a complicated relationship. We still see each other every 6 months or so..
Ooh ok! I'll probably be in Irvine anyways. I want to meet you too! Thank you! Pity I'm too frightened of age spots and worsening scars! Eh, I don't think I'm going to return it. We'll see. If I'm already going to the mall, I might exchange it for another one..
omg this is SHOCKING NEWS! good thing i used goody hair ties which have real elastic in them! Omg that is so disgusting! That is so gross. 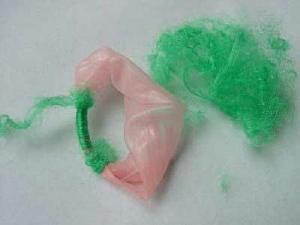 I don't even want to think about how a condom that left the factory would be "recycled"
omg i have those scrunchies!! i am going to throw it out asap. thanks for sharing! i hear that china was also stuffing stuffed animals with used tampons/pads.i just can't believe it!